Located on the famous Route 66, this hotel boasts an ideal location for guests wishing to experience the local attractions. Guests can travel back in time with a visit to the Union Pacific Railroad, be adventurous with a trip to Calico Ghost Town or experience military life at the National Training Centre at Fort Irwin. Visitors will enjoy the Barstow Outlets, as well as numerous dining and entertainment venues in the area. The endearing guest rooms instil an aura of relaxation and calm, affording guests the utmost of comfort. An ideal location for guests visiting the Barstow area, this hotel provides professional service and a friendly atmosphere like no other. 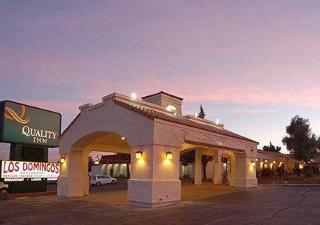 Guests will easily explore the historic city of Barstow during their stay at this hotel. It is located off Interstate 40 and near the famous Route 66. The Mohave National Preserve offers guests many outdoor recreational activities, while other area attractions include Calico Ghost Town, Mojave River Valley Museum and Western America Railroad Museum. In addition, the property's proximity to several California cities and Las Vegas makes it ideal for leisure and business travellers alike. 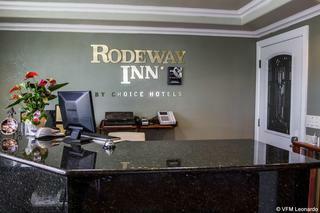 At the hotel guests are invited to enjoy a number of amenities, which include complimentary continental breakfast and wireless high-speed Internet access. 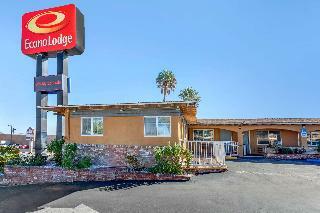 Halfway between Las Vegas and Los Angeles, this certified eco friendly hotel is the perfect place where to stop over or the perfect base for exploring the Barstow area. Being close to Fort Irwin and the Marine Corps Logistics Base, makes it a preferred destination for those reporting for duty and business travellers with construction crews. But there is also plenty to see and do even for those on holiday. Located near the Tanger Outlet Mall and Route 66, it is within a short drive from the Calico Ghost Town, that's always worth a visit and to the Death Valley National Monument. For the weary traveller the venue can offer a much welcomed comfortable bed, an outdoor swimming pool and a spa tub In order to refresh and get ready for the rest of the trip.